Nick Vujicic, the limbless Australian motivational speaker, will return to Vietnam for an exchange with people with disabilities who overcame hardships and achieved success. He will meet them in Ho Chi Minh City on May 21 and Hanoi on May 24. 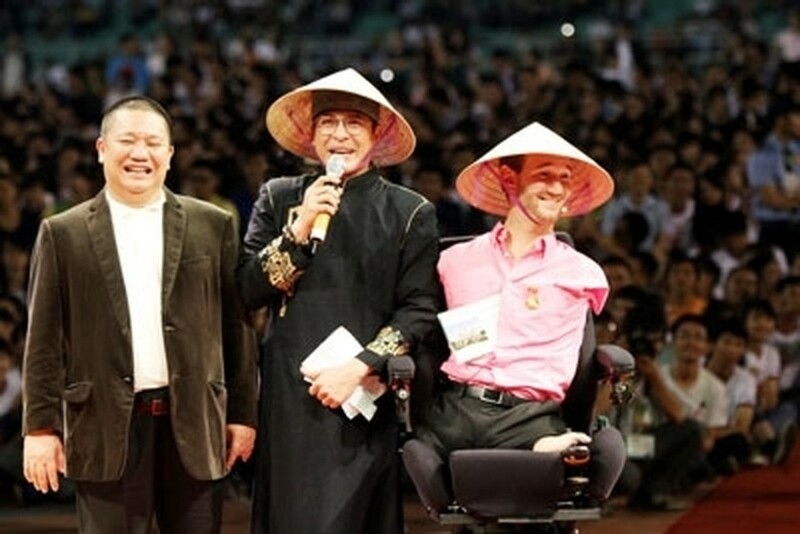 Following the success of Vujicic’s trip to Vietnam in May last year, Hoa Sen Group, the then sponsor, the Vietnam Youth Federation, Vietnam Television, and Thanh Nien (youth) newspaper have again invited him. He will travel with his family who will share their experiences in taking care of children with disabilities. Vujicic will also participate in a charity event to donate 100 wheelchairs to youths with disabilities. The popular Australian is an inspiration to millions around the world for overcoming his disabilities.